I’m adding this EDSITEMENT site to the links on left-hand side of the blog. Click here to see all the lesson plans, all including guiding questions (some “big ideas”) and designed with the standards in mind (sometimes even pairing/connecting informational text, paintings, literature, etc . 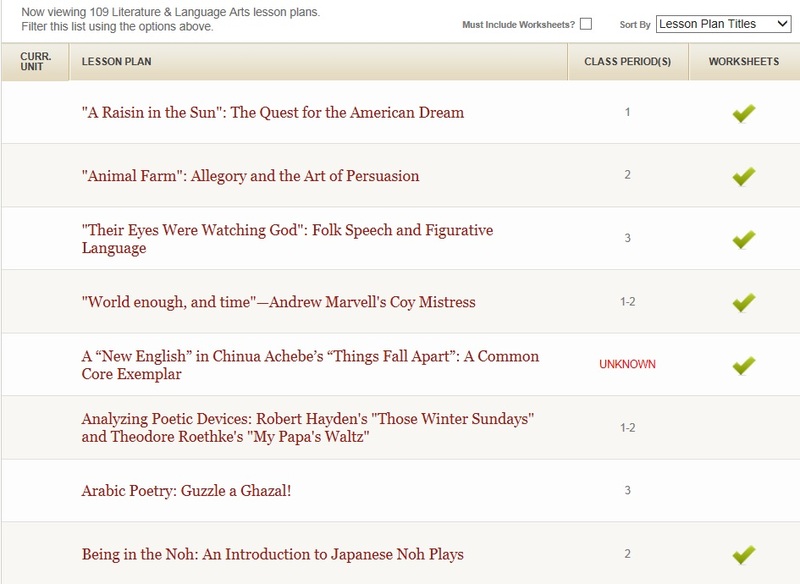 .. ) When the page comes up, you can select the 9-12 box to filter for just those lesson plans that suit our grade levels. This entry was posted in Uncategorized and tagged resources. Bookmark the permalink.